New York City mayoral candidate Anthony Weiner has admitted to using the pseudonym "Carlos Danger" during his illicit online conversations with women. He's far from the first celeb to try and hide under an assumed name; here's how and why a few of them attempted to avoid detection. 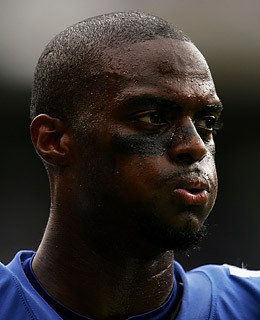 Well-paid Giants wide receiver Plaxico Burress made national headlines when he shot himself in the leg early on Nov. 29 at a Midtown Manhattan nightclub  an incident the sports blogosphere has aptly dubbed the $35 million "Plaxident." But his intention was apparently to avoid disclosing the injury at all. According to the New York Post, when Burress checked into the New York-Presbyterian Hospital/Weill Cornell Medical Center, he identified himself as "Harris Smith"  a pseudonym less colorful than some other celebrity aliases, but no more authentic.